Science, art and nature synthesize in this silverprint showing the inner structure of Ginkgo leaves by X-ray imaging. X-rayography by Albert C. Koetsier. More info and photos on my website here. 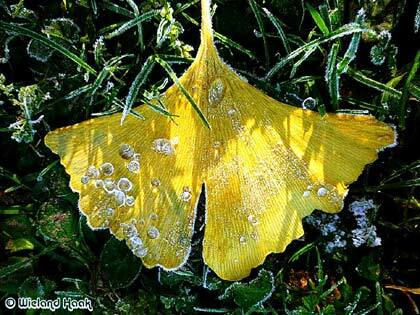 Ice crystals on rime frosted Ginkgo leaf. Photo taken by Wieland Haak in Germany . Thank you Wieland! Video of a huge old Ginkgo tree, over 400 years old. Nishi Hongan-ji Temple (Western Temple of the Original Vow) - Kyoto, Japan. Video by 5112260 on YouTube. ’Tis the season for the scrape scrape of the metal rake gathering into piles the falling leaves in the Quad. With big rain and wind due in tonight for several days, today may be your last chance to enjoy the golden leaves of the Ginkgos as they fall. Two years ago we ran an article on these very interesting trees : The oldest species in the world, and the World Speed Champions of Leaf-Shedding. Here is a website that can show you ginkgo rain, and tell you a little about the good luck that the golden leaves can bring." Read more and enjoy many photos of these Ginkgo trees on the website of De La Salle High School. 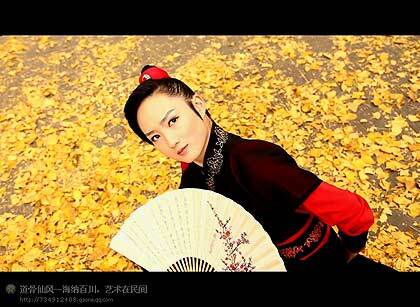 Video: Chinese fandance and falling Ginkgo leaves. More info, videos and many photos on this website. * Added new page: Wild Ginkgo trees Dalou Mountains, China. 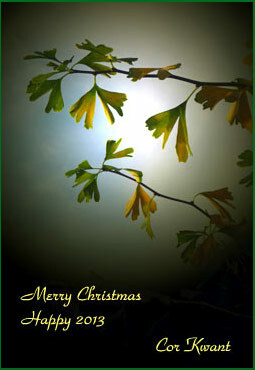 * New photo photospecial page: Ginkgo leaves. 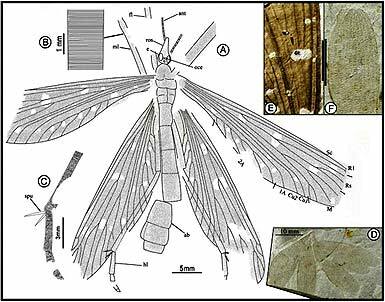 * New topic: Jurassic mimicry between a hangingfly and a Ginkgo from China. The leaves of Ginkgo trees may all fall in a short period of time, sometimes in one or two hours! This is recorded in many parts of the world in fall. This video on YouTube is made by StAmadeus. More info and many videos about the sudden falling of the leaves on my website: click here. Researchers working in northeastern China have discovered a new species of hangingfly that used its wings to mimic the multi-lobed leaves of an ancient ginkgo-like tree. 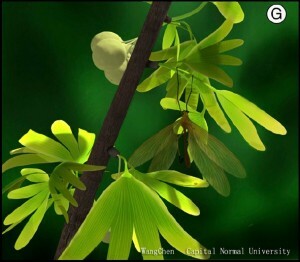 Preserved in fossil sediments dating from the late Middle Jurassic, the insect, newly named Juracimbrophlebia ginkgofolia, was discovered in 165 million-year-old deposits, as was the extinct ginkgo-like tree, Yimaia capituliformis, the mimicked plant. Hanging down by its long forelegs from the bottom of a leaf petiole, the four long wings and body of this insect would have perfectly mimicked the hanging lobes of a single ginkgo-like leaf. The researchers suggest the hangingfly may have evolved this mimicry to hide from predators, such as other insects, pterosaurs and small, tree-living dinosaurs and mammals, since its relatively large body and weak legs and wings would have made it easy prey. The insect also may have used mimicry to help ambush prey. It will make the newly found Juracimbrophlebia ginkgofolia the first of its kind by tens of millions of years, as well as the first to use leaves, rather than flowers, to hide. It will also mark the first recorded example of animal and plant evolving to work together in such a way, with the tree providing cover for hangingflies, who in turn offer pest control by devouring potentially dangerous insects before they can damage the tree. In this way the insect benefited from a reciprocal relationship with the tree, a relationship that the fossils indicate lasted about 1 million years. 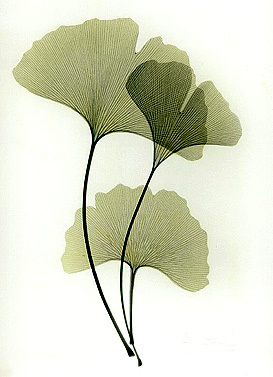 Pictures:- Art by Wang Chen, from Wang et al., 2012.- Juracimbrophlebia ginkgofolia from PNAS 2012. **Subscribe to receive free email updates.-- Cor Kwant ** Visit my website The Ginkgo Pages.